So it’s been 2 months to the day since my last blog post. For that, I apologize. I still very much love and care about my beloved blog and those that read it religiously or happen to stumble on it thanks to a random search, or linked from a friend. Nevertheless, thanks for your visit(s) and I hope you come back and continue reading! Don’t forget the #1 way to catch up with me is on Twitter. In short, a lot has happened to me in two months time, and I felt it’d be quicker to review those events with a video, but it would actually take me longer to produce a video than it would to write. Sooner or later I might get back on a regular blogging schedule. If only that was a benefit of fiber. As a few recent blog posts have stated, I had been interning with Young Studios. I was working as a PA for the art department, which was arguably one of the best jobs you can get working on a film set. It’d be better if I were paid, but a fun experience nonetheless. 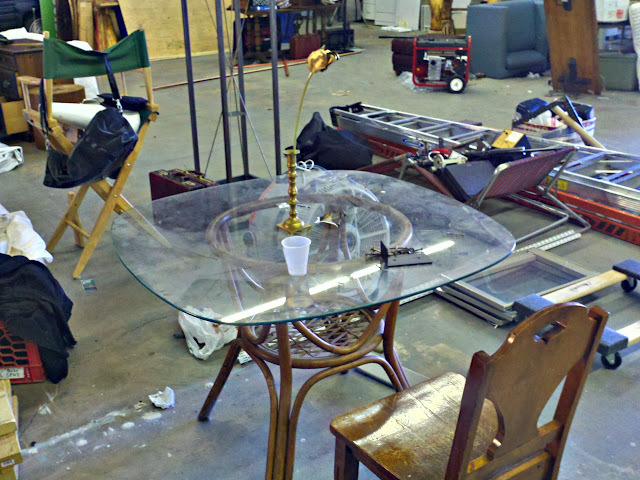 Again, the movie I was involved with is called Diamond Ruff, based on the book written by Joe Young. In the future, I’ll write more about my experiences on and off camera, along with pictures I know won’t get me in trouble. That in itself is another story. 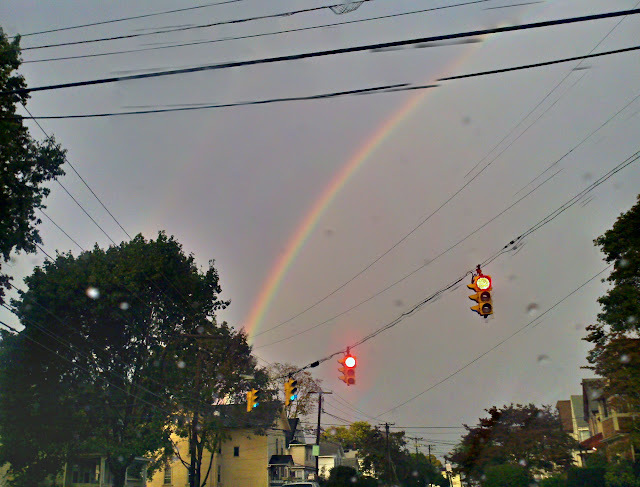 Oh, I saw a double rainbow! Can't really see it here though. I’m still heavily involved with The Lost Dial. You should check it out if you haven’t yet. You get to hear me interact with others about things I would normally only write about. But hopefully I’ll get back into tying the show and my blog together a bit more often. I’m teasing the idea of spinning off my own podcast just for the Indoob… but we’ll see. Tragedy struck in a number of ways during the course of a single week that proved to set me back mentally, physically, emotionally and financially. My best friend’s mother (who was also a mother to me) had passed away due to lung cancer (seriously kids, don’t smoke). A week before that my car got broken into and I lost my cameras, iPod, and my infamous leather backpack which contained numerous things including an important prop for Diamond Ruff needed the very next day! The other thing from the bag was a notebook full of brand new poetry. Only one piece was saved since it was originally typed on my phone. I may post that poem later too. I began putting together my plan of starting my own production company. 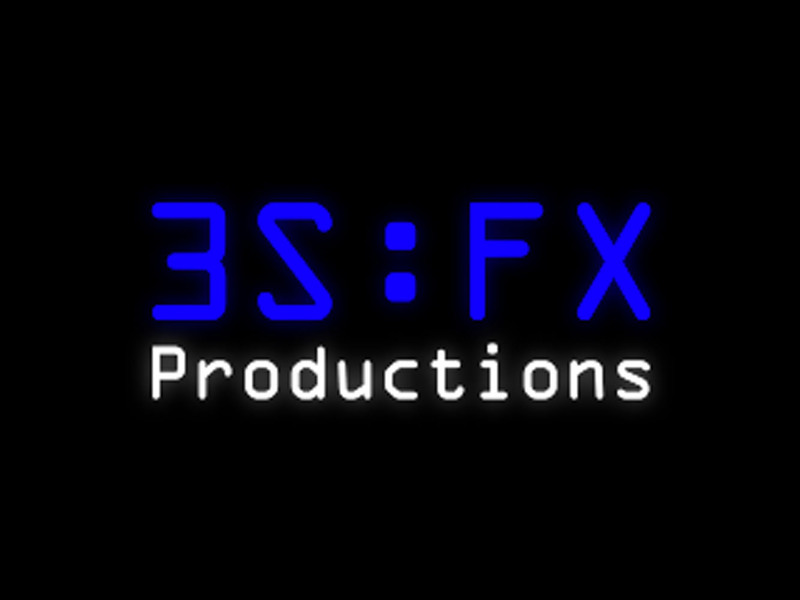 I’m about to finish up a commercial I had been working on for a friend, along with recording and producing weekly sermons at my church, all under the 3S:FX Productions brand (webpage coming soon). But to see some of my recent productions, check them out here for my stuff and Grace & Mercy stuff. I plan to write more in the future, including continuing reviews on movies and TV shows. Yeah, I started live-tweeting TV shows and even got named #2 most social while watching the premiere of Terra Nova. In the meantime, follow me on Twitter and listen to The Lost Dial!